In May 2015, the secular daily newspaper Cumhuriyet published on its front page a video and photographic evidence of arms deliveries by the Turkish intelligence services to Islamist groups in Syria. A month later, President Erdoğan himself filed a criminal complaint against Cumhuriyet's editor-in-chief and said, "He who ran this story will pay heavily for it." Erdoğan suggests that "the first step is to create a stabilization force featuring fighters from all parts of Syrian society." 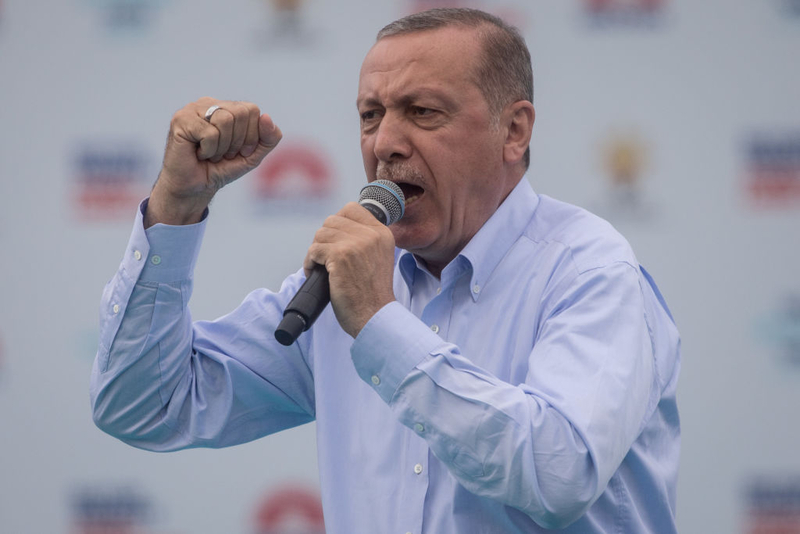 This highlights Erdoğan's desire that his choice of jihadists, the Free Syrian Army (FSA), should control Syria's north, not other jihadists or Kurds. FSA's Supreme Military Council operates with several hardline Islamist groups such as Ahrar al-Sham and Al-Qaeda-liked jihadists.